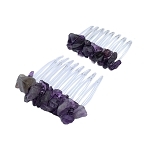 Amethyst represents nobility and spirituality, and is a birthstone for those born int he month of February. The ancients believed it encouraged sobriety, as evidenced in its name, which means "without drunkenness." 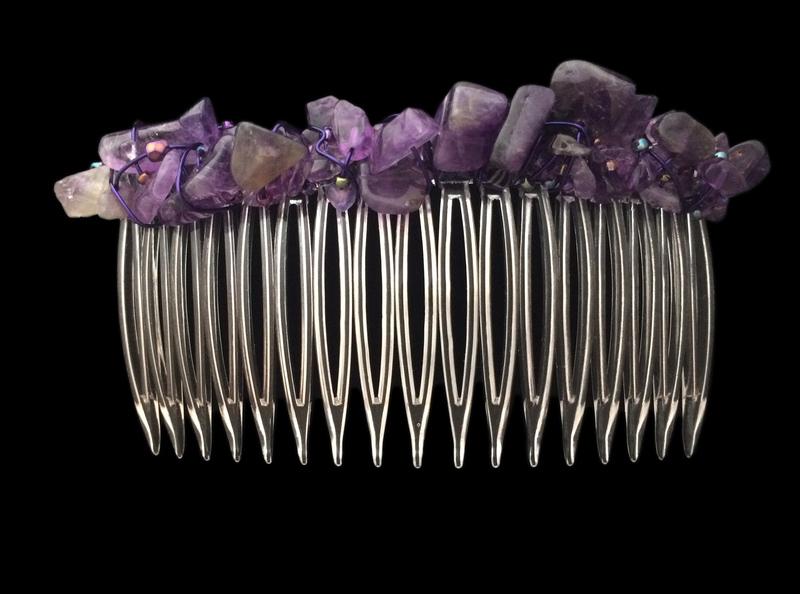 This is an 82 mm hair comb featuring a free-form wrapping of gemstone amethyst nuggets with coordinating purple glass beads. or, for a really luxe look, Gold-filled wire. Combs > 82mm (3 1/4 in.) "Large"